This week I met with Joanna Brown, one of the members of the Contemporary Art Panel at RAMM (the Royal Albert Memorial Museum) at Exeter. We’d discussed previously how the museum were keen to work with visual artists in interpreting their collections, so I was interested to find out more about how my work might fit in the context of the museum collection. The museum in Exeter was developed in the 1860s from the collections of the Devon and Exeter Institute which aimed to promote “the general diffusion of Science, Literature and Art”. The first curator (William Stewart Mitchel D’Urban) was appointed was appointed in 1868 and served until 1884. Over its lifespan it has seen many changes including a number of extensions to the original design as well as housing both the Royal Albert Memorial University College and the University College of South West England. Recently, the museum has undertaken huge structural redevelopment to the building as a whole and to the ways in which it interprets its objects for the public. As part of these changes, the museum incorporated a new temporary exhibitions gallery in order to allow artists to show related exhibitions alongside the museum collections. There has also been extensive digital documentation of the collections which are available to view online. Such developments have earned RAMM the Art Fund’s Museum of the Year 2012 award. Having access to information which laid out the process by which museums assessed their collections was very useful, as it showed how they separated their collection of over a million objects into different review groups, such as geographical criteria, in order to create coherent units in order to assess each object. These review groups were then evenly selected from to make up a set of data samples, allowing the team to review the whole collection without assessing every object in turn. Assessing such a large quantity and diverse range of objects required a specific methodology and framework in order to make sure that the review was conducted in a timely and practical fashion. The working model of assessing and interpreting objects and collections also reflected my previous readings in weeks 70-74, allowing me to view a live case study in relation to the digital archive of objects reflected. The methodology laid out the systematic approach to undertaking the review of the objects by splitting the assessment into two phases.The first selection would be made from an overview of the information available from the collections archive, using database and online information to determine the potential of artefacts before viewing the physical objects. Phase two would then build on this information by assessing the preliminary selection against the collections development strategy of the museum. The questions used to assess artefacts in the collections archive were related to the following topics: provenance and history, representativeness (ie. best examples of object type), sensory, symbolic and evocative impact, and usage/potential usage – for research, audience development, learning, business, tourism, or product development. These questions not only helped me to understand the way that RAMM and other museums collated the objects they had collected, but also how I might in turn select objects to work with when creating my interpretations. Owing to my interest in cultural history and ethnography, the online database enabled me to significantly narrow the scope of my search within the vast collections to the religion and magic section. However, the methodological questions also gave me an additional language with which to anchor my practice in museum research techniques. After the book fair weekend had finished the exhibitions continued until 26th March. As well as organising a stall and the Imaginary Museum exhibition, I had also been selected for a video and performance art project by AMBruno. The project was called Book Act and explored the nature of the book as a time-based medium, as well the transformation of the book through performative acts. My contribution to the exhibition was the video and bookwork, ‘Mouth Scroll’, a long scroll of paper wrapped around a small armature for presentation, which was then inserted into the mouth and unscrolled to be ‘read’. The work recalls Carolee Schneeman’s ‘Interior Scroll’ in linking speech and writing to the body and the performative. The opportunity to ‘perform the book’ through the use of video also opened up the possibilities of exaggerating the limits of the book and the body through editing, creating the idea of a continuous scroll which alluded to magic tricks and religious texts. Alongside my video was the work of 10 other artists listed as follows: Karen Blake (void-ances mown circle: earth), Manya Doñaque (endless lists), Kathryn Faulkner (Everything changes), Judy Goldhill (Contingencies of light : sun body), Jane Grisewood (Mourning Lines), Sharon Kivland (Nana Vit Sa Vie), Sophie Loss (Swinging Susan Red), Valérie Mary (Digression: Au bord de l’eau), Anne Rook (Apple Story), and Cally Trench and Philip Lee (Sixteen Dada Heads). There were also live performances carried out in response to the video works, re-interpreting the artists’ books for a live audience setting. These works included: Anne Rook (Apple Story), Karen Babayan (Lolo’s Story – August 1941, Tehran, Iran), Jane Grisewood (Mourning Lines), Marco Calí (Mobius Strip), and Cally Trench and Philip Lee (Sixteen Dada Heads). Similarly, the idea of time, performance and sequentiality is a theme often explored by artist book makers. This time-based and often narrative medium translates equally well into film, video and digital media. 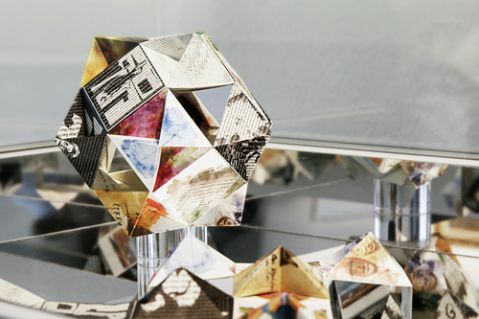 Despite the often cited fear of books becoming outmoded in response to the internet and digital, artists have used these techniques to create a mixture of online and offline experiences in response to the book. The exhibition Pulp to Pixels, curated by Andrea Dezso, Steven Daiber and Meredith Broberg is an example of this, combining LEDs, monitors and ebooks alongside physical works in order to create a more interactive exhibition. As Jimi Jones notes in his review of the exhibition, the use of digital elements further enhances the performativity inherent in the book form. However, as an archivist he also raises the issue of digital preservation, as underlined by the inclusion of Paul Zelevansky’s ‘The Case for the Burial of Ancestors Book Two’. This book, produced in 1986, is a physical book which includes a floppy disc containing a computer game. Changing technologies highlights a large problem for artists working with these techniques, as well as for the collection and preservation of new media works by galleries and museums. However, increasingly artists are merging the physical and the digital, producing hybrid products that don’t rely solely on the use of particular technologies. This is illustrated in the case of the ‘Mouth Scroll’ video, where the book exists as a physical entity, and the video (although a work in its own right) has been produced to show the book being performed. Louise Atkinson is a visual artist based in Leeds. She has recently completed a PhD in the School of Fine Art at the University of Leeds.